My Lonely Planet guidebook described São Paulo as a monster and our plan was to stay here for two nights and leave as soon as possible. I hadn’t heard great things about the city. What I mostly associated with it were high crime rates and dirty streets and I wasn’t too keen on staying any longer than necessary. But then we unexpectedly had to stay three nights instead of two and discovered that there is much more to São Paulo. Great museums, beautiful parks and friendly people – it would have been a shame to miss out on all of it. 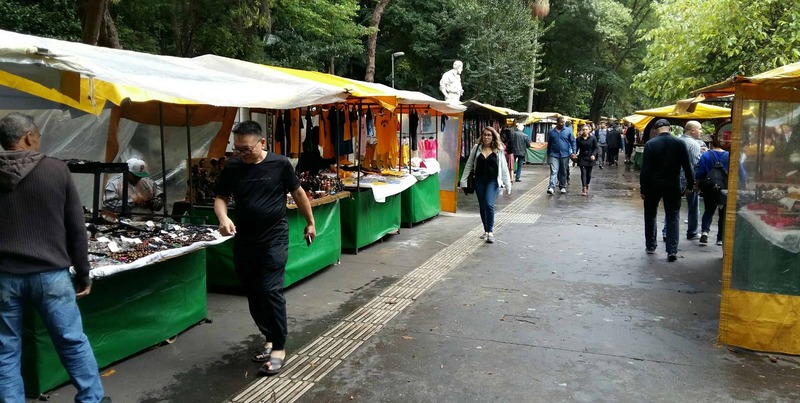 São Paulo’s main market, located in the city centre, is a great place to have lunch. Inside the yellow building, you will find many restaurants offering salgados (savoury snacks). The most traditional ones, according to the local waiting in the line with us, are the ones filled with codfish and the mortadella sandwiches, filled with so much sausage that it is impossible to fit it into your mouth. We had some great pasta here and a fresh juice for less than two dollars. Besides having lunch, this is also a good place to check out the fruit vendors. Most will let you try their huge selection of exotic fruits. I don’t know about you, but before coming here, I didn’t know much about Brazilian art. I had seen a couple of paintings of Rio de Janeiro but that was it. That is why I found the Pinacoteca very interesting. 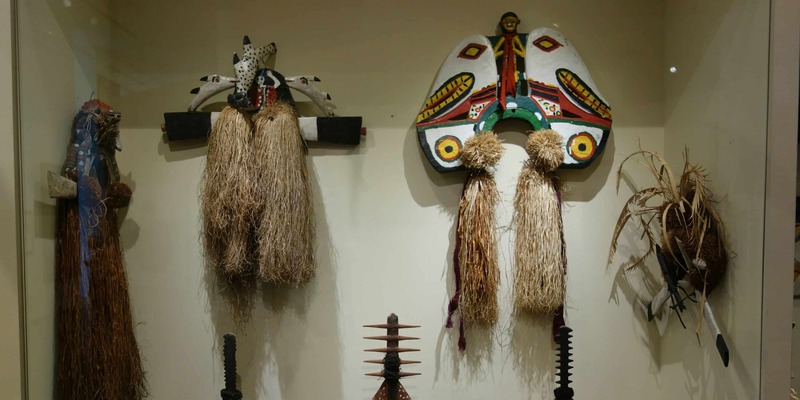 It houses a huge collection of paintings, from classic to impressionistic, by native artists. Some motives are adapted from Western art but others are unique to the country and its culture. Entrance is free on Saturdays. São Paulo’s municipal theatre, constructed more than a hundred years ago, is a beautiful building in the city centre. You can either come here to enjoy a performance or you can, like we did, join one of the free guided tours. We were the only English-speaking visitors that day, so we got our own private tour through the theatre. Our guide was amazing and explained a lot about the building, its history and São Paulo in general. Did you know that this used to be a city of coffee barons? You can still see the coffee plant in the theatre’s decorations. Check the website to find out when to show up for one of the tours. 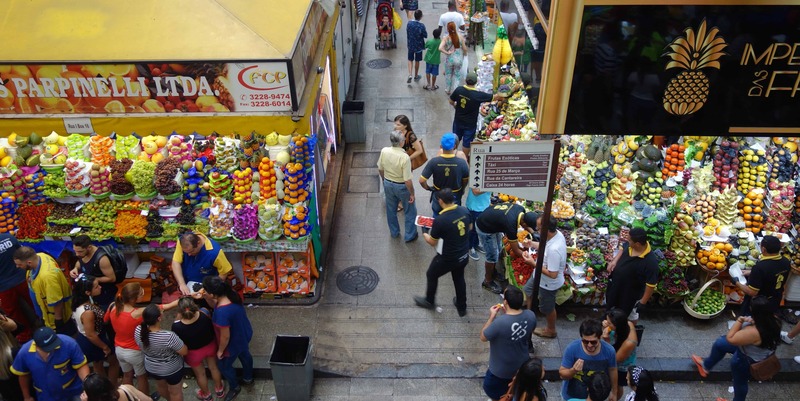 My first impression of São Paulo’s city centre was that it was noisy, dirty and crowded. The sidewalks are either taken up by homeless people or street vendors offering you socks, smartphones or giant crabs with blue pincers. If you need a break from the madness of it, walk down Avenida Paulista. Located in one of the city’s nicest neighbourhoods, it is lined with museums and cultural centres. In its middle, you can find a park with trees so huge and vegetation so dense, it’s hard to believe you’re still in the city. We also came past a market where we had some amazing cake. If I lived here, I would probably come back every day to try all the different flavours. The Afro-Brasilian museum, located south of Avenida Paulista, is huge. It houses a large collection of everything related to Afro-Brasilians (and also a few items that seemed completely unrelated). Unfortunately, signs are in Portuguese only and the arrangement of the exhibits seemed random and didn’t make much sense to us. Still, this is a good place to spend an hour or two and ponder on the country’s history. 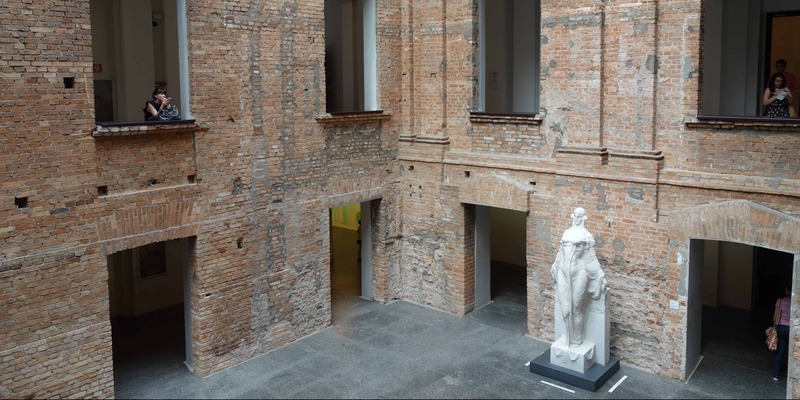 Just like with the Pinacoteca, entrance is free on Saturdays. See? Even if São Paulo doesn’t seem like the most appealing city in the world, there is still lots of stuff to do. Do you have anything to add to that list?